To save your space on camcorder's SD card or upload the camcorder video to some social network, you will probably have the request to compress camcorder videos. Following part of the guide will help you to know the most reliable and efficient ways to do so. Camcorder videos are generally recorded in high quality formats that occupy a lot of space. UniConverter (originally Wondershare Video Converter Ultimate) here helps to compress videos by converting them to smaller sized formats like FLV and WMV. 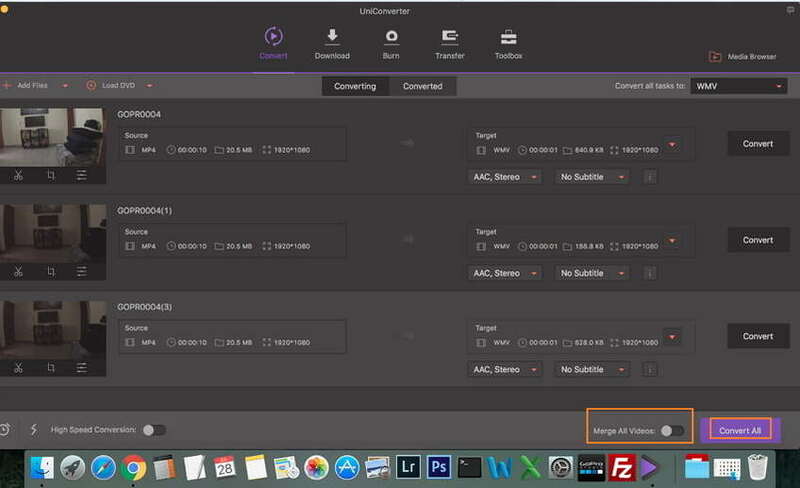 Allows compressing camcorder videos by customizing settings related to resolution, bitrate, video size, and frame rate. 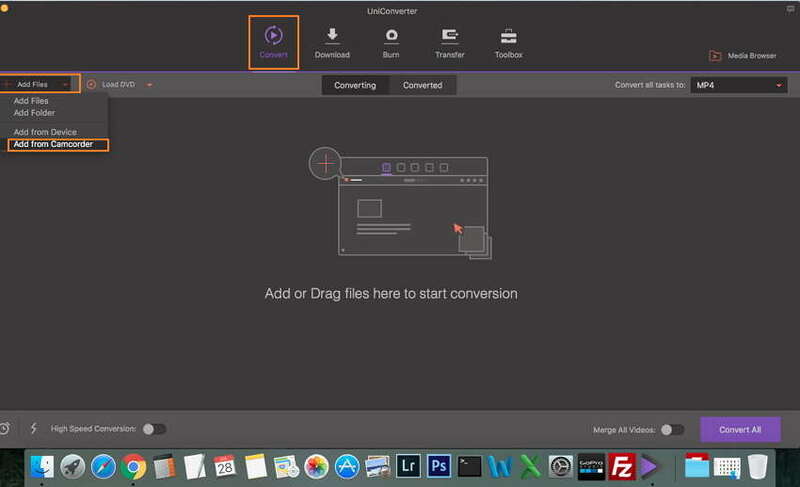 Videos can be compressed through UniConverter (originally Wondershare Video Converter Ultimate), by trimming and deleting their unwanted parts and segments. Software allows to compress camcorder videos by converting them to formats suitable for playing on iOS and Android devices. Codecs of the videos can be changed for compressing purpose. The software allows editing and compressing multiple videos at a time. The software allows to convert videos to the formats that can be shared as well as uploaded to a number of sites. Wondershare UniConverter (originally Wondershare Video Converter Ultimate) is available for Windows as well as Mac systems. 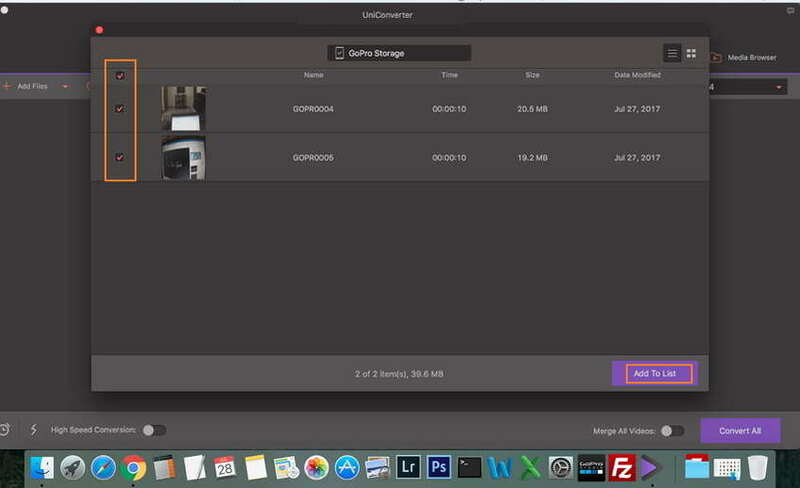 While working with Wondershare UniConverter for Mac (originally Wondershare Video Converter Ultimate for Mac), the software supports all the versions of the OS including Mojave. 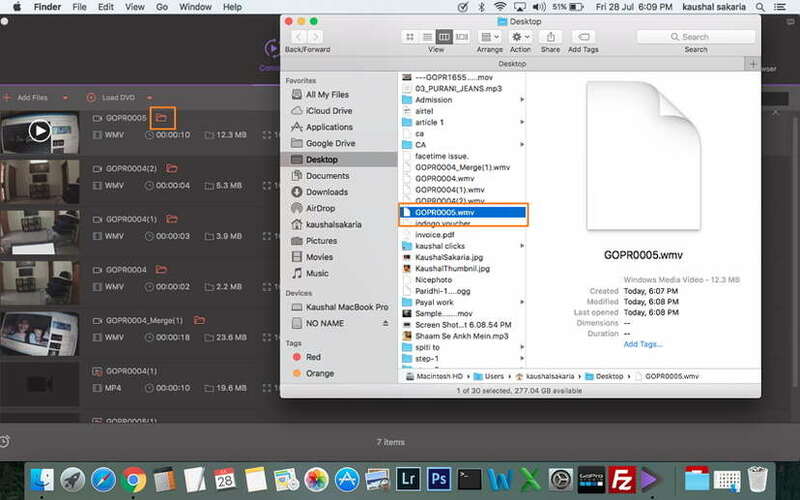 There are multiple ways by which camcorder videos on Mac can be compressed and steps for the same are given below. 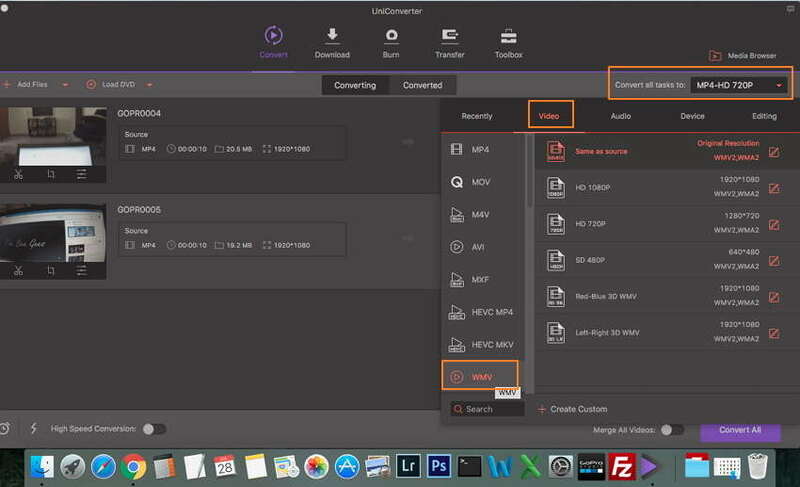 Step 1 Open Video converter ultimate and add camcorder video. First of all, connect the camcorder to your Mac and then open Wondershare UniConverter (originally Wondershare Video Converter Ultimate). You can directly add camcorder videos to Mac. 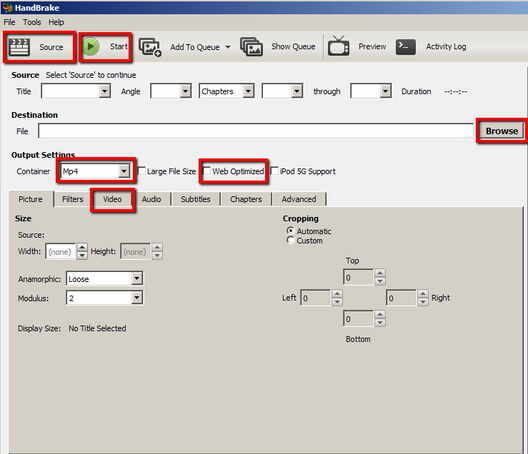 For this, click drop-down arrow beside Add Files and select Add from Camcorder. A pop-up window will open showing all files present in the camcorder. Select the desired files and click Add To List. Note: Learn other ways of adding media files. Step 2 Compress camcorder videos. Solution 1: Customise video setting to cut down video size, like set the resolution and bit rate. Once files are added, click drop down icon next to Convert all tasks to and select Video tab and the desired video format. 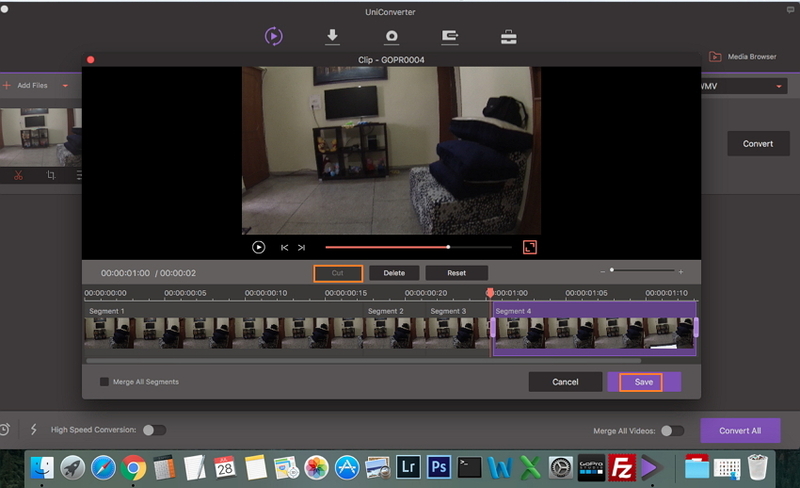 Select the video resolution from the right side and click the icon of Editing that will open a new Setting window. From the Setting window, select Small Size at the Custom tab. Other parameters like resolution, bit rate, and frame rate can also be set so as to compress the videos. Once all settings are done, click Create to proceed. Solution 2: Convert camcorder video to smaller sized WMV, FLV. After adding files, click drop down icon beside Convert all tasks to and select WMV or FLV as the desired format from the Video tab. Solution 3: Trim unwanted part for downsizing camcorder video. After successfully adding the video, trimming icon can be located below the video thumbnail. Click the trimming icon to open the trimming window. Drag the side lay and move to the place where you want to trim and then click Cut. The video will get divided into a number of segments. If you want the video to be trimmed in sections, click Save to move further. The trimmed video will appear on the main interface with segment numbers. Next, in case if you wish to remove a particular segment, select it and click Delete. Now click Merge All Videos to merge all the other segments excluding the deleted segment. Step 3 Start video compression. Once all settings are made, click Convert All to start the compression process. Once the process is complete, click Converted tab to check the file. Click Open file location icon to check the location where compressed file is saved on your PC. Thus with the above steps, you can quickly and easily compress video from the camcorder using the software. 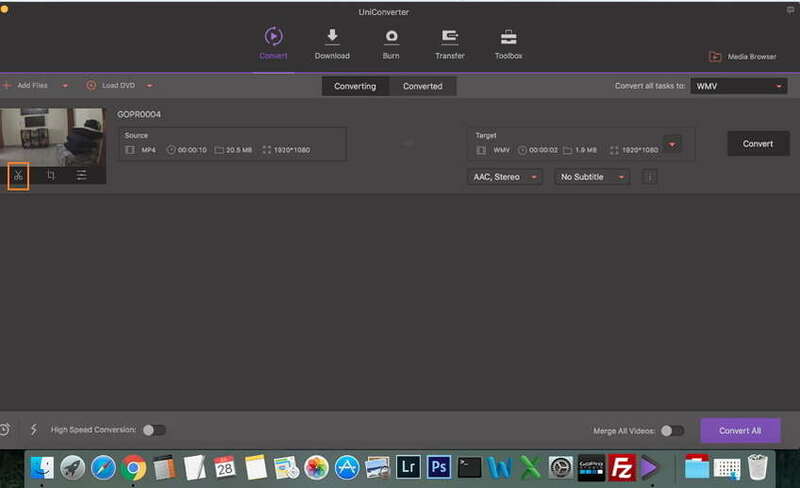 Wondershare UniConverter (originally Wondershare Video Converter Ultimate) is undoubtedly the best video compressor, but in case if you are in search of other programs or tools, we have picked up 3 other methods for your convenience. Read below to know details about these programs. This is an online program that allows converting video files to smaller sized formats. This decent conversion tool has simple, quick, and easy to use. While using the program, you have to simply add the video file and select the output format for the process to initiate. The converted file can be easily downloaded from the program and can also be sent to the desired email-id for future use. Files uploaded at the program interface are safe and their privacy is maintained. Besides adding local files, the program also allows downloading it from a number of sources. No need for downloading or installing software. 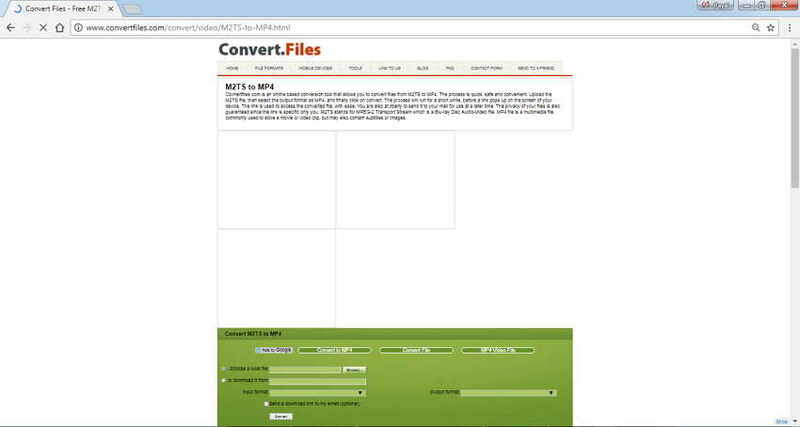 Allows converting videos to a number of formats. No additional features besides file format conversion. This is another file conversion tool that allows converting your videos to a number of other formats and codecs. It is a free and open source program that is compatible with working on multiple platforms including Windows, Linux, and Mac. The program has a simple interface which makes it easy for all types of users to work and operate. In addition to changing video formats, the program also allows compressing videos by changing the settings related to the average bit rate. Videos can also be optimized to play well with an array of devices like Android tablet, iPod, TV, and others. Free and open source program. Do not support additional features. Need to download and install the software. This is another decent software works as all-in-one video converter and facilitates downloading, converting, editing and recording screen videos. The software works with Mac as well as Windows system and supports more than 320 video formats for conversion purpose. Batch processing is supported by the program and it can also compress HD and 4K videos to other smaller size formats. 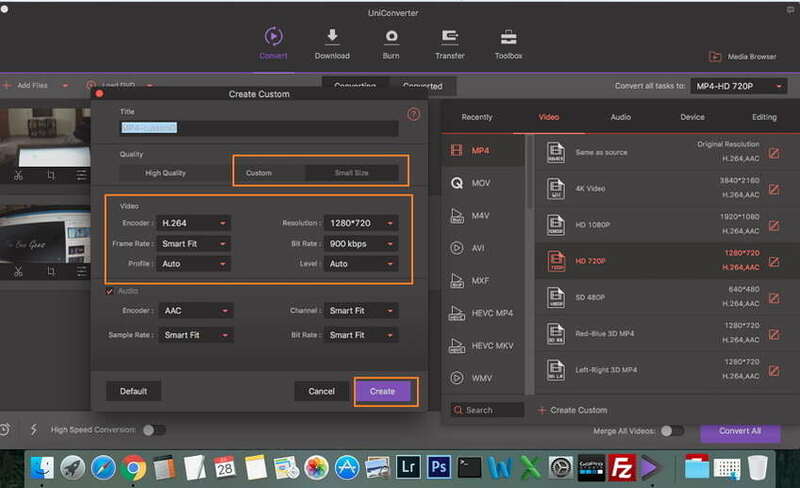 MacX Video Converter Pro also allows changing resolution, frame rate, bit rate and codecs of the file for compression purpose. If needed, video files can be directly compressed to formats and resolution supported by iOS and Android devices. Support more than 320 video formats and other codecs for file conversion purpose. Support additional features for video compression like editing files, changing parameters and others. Support additional features like downloading videos, recording video, screen capture, and others. 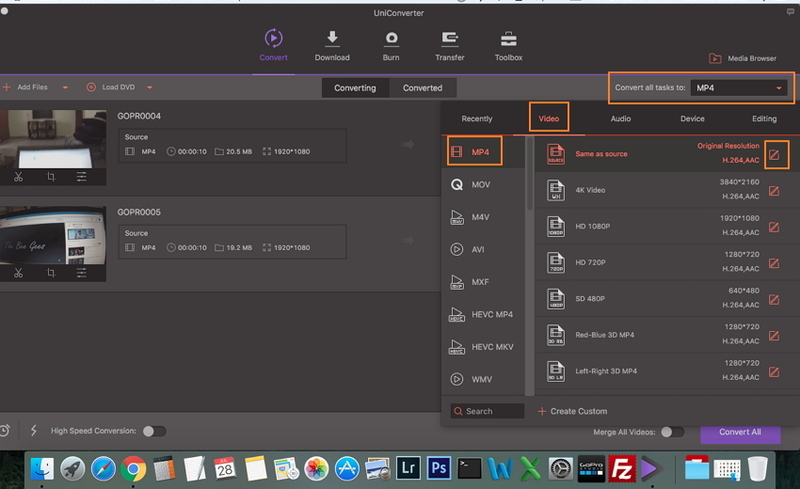 Wondershare UniConverter (originally Wondershare Video Converter Ultimate) and the 3 other methods listed in the above part of the article are decent video compression tools that support a different set of features. Each of these tools has associated pros and cons and to make the selection task easier for you, we have drafted a comparison table between these 4 methods. Depending upon the features listed in the table, you can select the method that best suits your requirements. Supported input formats Almost all possible formats including unusual formats. All popularly used formats. All common multimedia file formats including DVD and Blu ray sources. More than 320 popular video formats. Supported output formats Support more than 1000 popular formats. 3GP, amv, flv, and other commonly used formats. MKV, MP4, popularly used video encoders and formats. More than 180 video formats. Download videos from YouTube and other sites Yes, supports 10,000 sites. No No Yes, supports 300 sites. 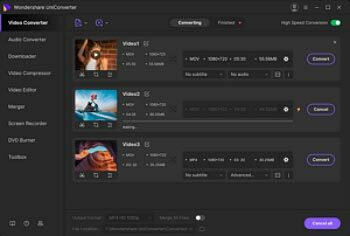 Thus considering the features of Wondershare UniConverter (originally Wondershare Video Converter Ultimate) and the comparison table given above, it can be concluded that Wondershare UniConverter (originally Wondershare Video Converter Ultimate) is the best camcorder converter that also supports an array of additional features to look after all your video related concerns and worries. Have a free try now!